Drake is back dissing Kanye West mere days after the latter talked about the possibility of them resolving their differences. Recall that their beef began after Rolling Stone reported that Kanye could be the bird who whispered Drake’s secrets to his rival Pusha T.
Last month, Drake dissed Kanye at the Chicago leg of his tour with the Migos, and speaking it in his WGCI interview last week, Kanye said he was aware that Drake dissed him but was hopeful that they would one day reconcile. Well, Drake is not ready to make peace yet. “I told her don’t wear no 350s ’round me,” the In My feelings rapper can be heard rapping during a newly-leaked snippet of the No Stylist record reportedly produced by London On Da Track. “keep it a G… I told her don’t wear no 350s round me”…. 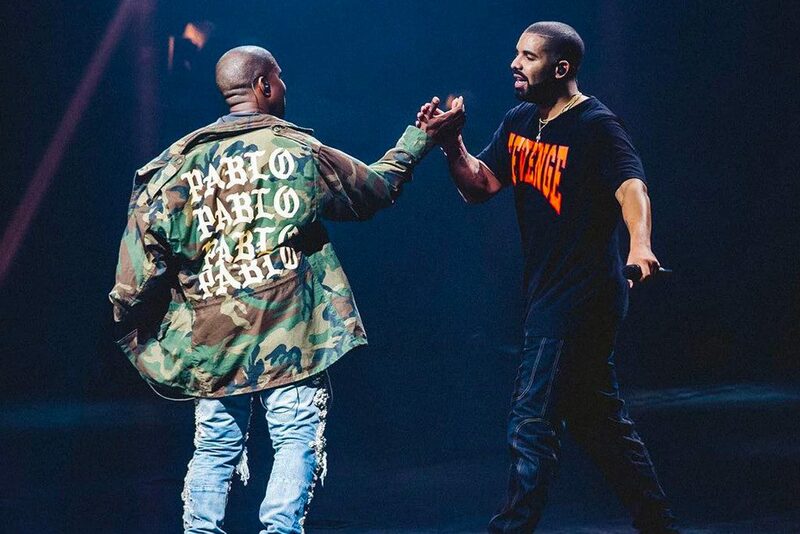 #drake disses #kanyewest brand “yeezy” on his new song. Y’all think drake has enough clout to get ppl to stop wearing yeezys ? ?